Today a lovely new set of postcard prints arrived for me from Moo UK and I got to work making them ready for purpose. These prints form part of secret project I am working on with a friend. 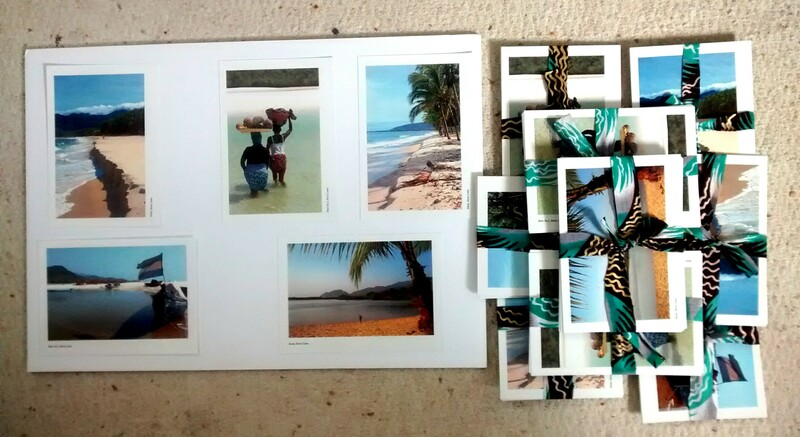 It is the first time I have created a print set in this way for sale and the five images feature scenes from the beaches of gorgeous Sierra Leone. With photographs of Tokeh, River No.2 and Sussex I am really happy with the finished product. 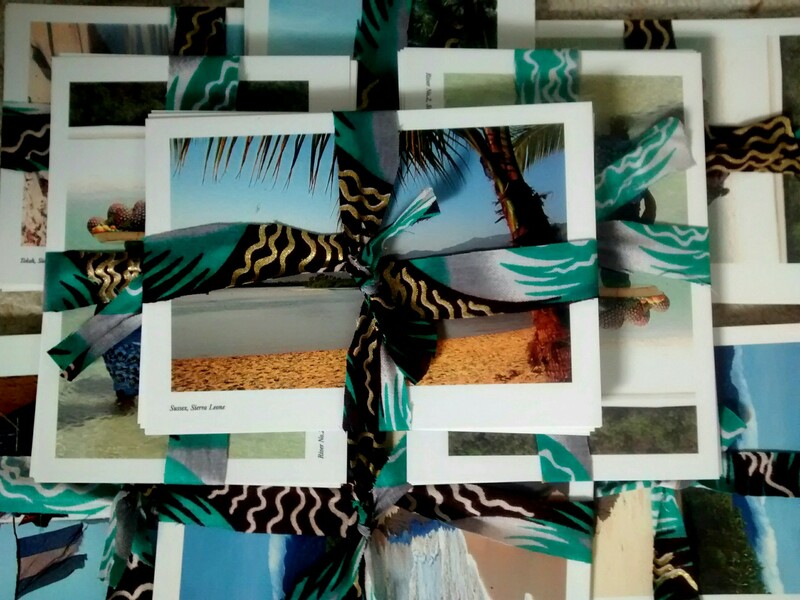 The sets have been tied together with Sierra Leonean cloth. 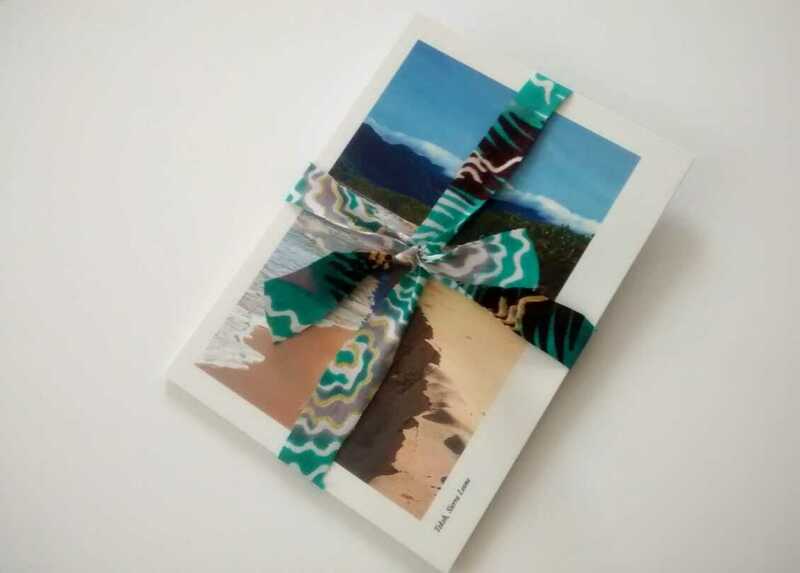 All tied together with patterned Sierra Leonean cloth.